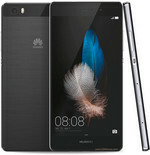 Huawei attempts to rival its competition with the release of its flagship Huawei P8 that has a slimness never seen before. 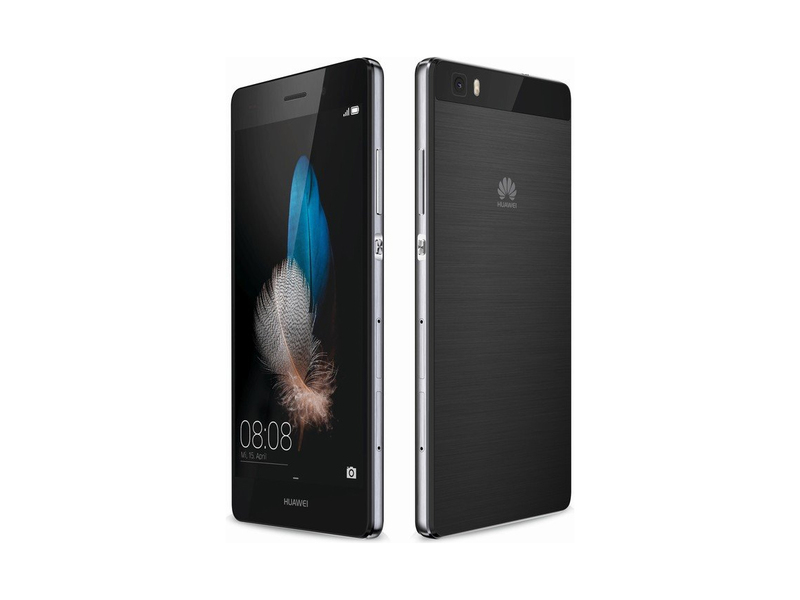 The P8 is only 6.4 mm thick, making it one of the thinnest phones on the market. Most of the front facing portion is filled with its 5.2 inch screen that has a resolution of 1080 x 1920 pixels and a pixel density of 424 ppi. This multitouch screen is covered with a protective Gorilla Glass 3 from Corning. It has the usual Android OS, and in this case a 5.0.2 Lollipop version. However, Huawei has customized the Lollipop with its own skin called the Emotion 3.1 UI that gives users a different but practical app organization system. There are two cameras provided with the phone, including a primary rear facing camera at 13 MP and a secondary front facing camera at 8 MP. Both are considered the best cameras currently available to smartphones. In terms of hardware, it features a HiSilicon Kirin 930 or 935 chipset. Interestingly there are two CPUs, a quad core Cortex A53 with a clock rate of up to 2 GHz and a quad-core 1.5 GHz Cortex A53 working in tandem. Lastly, there is a Mali-T628 MP4 GPU for the graphic works. With a solid built and a thin, portable design, this phone is truly worth an investment. Très chic! We took a first glance at the Chinese manufacturer's flagship. Huawei's P lineup has always been slim, but rarely so classy. The P8 makes a positive first impression with a lot of aluminum and glass. The camera has also been reworked to quite some extent. Find out more in the following report. Light artist. 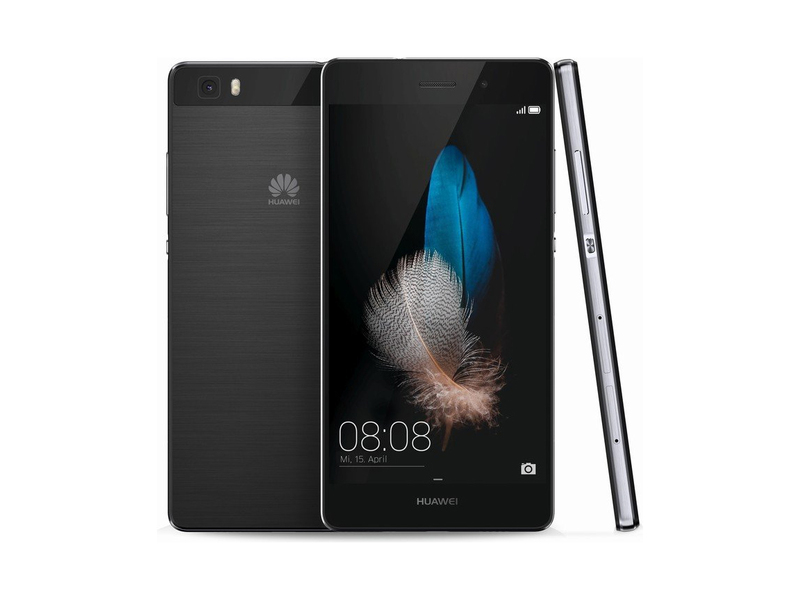 The Huawei P8 is the latest flagship device from the Chinese company, which does not only have an elegant design, but also offers a lot inside the aluminum chassis: Build quality, camera and display can meet the highest demands. However, the connectivity and the performance do not leave a high-end impression. Overall, the Huawei P8 is a cracker of a phone. Not only does it look the absolute business, it’s a breeze to use. Die-hard Androidites might take umbrage with their beloved OS being ‘Appled-up’, but it’s undeniably slick. It’s not got the best screen around and the ‘knuckle sense’ software throws the occasional wobbly. There’s no doubting that the P8 is a good phone, but it is also yet another iClone, and this brings up a curious question: when did all the iClones come out of the woodwork? We’re beginning to long for the days when phone makers were so afraid of being sued by Apple that they went their own way and designed their own products, not just imitations of the juggernaut that always has a strong marketing budget behind them. If you value camera quality above all else, then the Huawei P8 is worth a look – but we’d suggest you weigh up alternative options, such as the Samsung Galaxy S5, which is cheaper SIM-free, or the Galaxy Note 4, which can be had for around $630, before taking the plunge. Other than that what lets it down are the non-standard interface and some slightly gimmicky features like the knuckle sensing mode that don’t feel quite thought through. But spend a bit of time tweaking the user experience and it’s a phone you can quite happily live with and not feel that you’ve bought second best. The Huawei P8 represents the classiest and most capable Android from a Chinese manufacturer yet, and a strong advance from last year’s P7. The hardware design is superb and it has a terrific camera. The biggest differentiator is actually quite useful: the microSD slot doubles up as a SIM slot, too. The stuttery performance and annoying popups that marred last year’s P7 have been banished. There’s a lot to like with thrown-in features like call blocking and security. 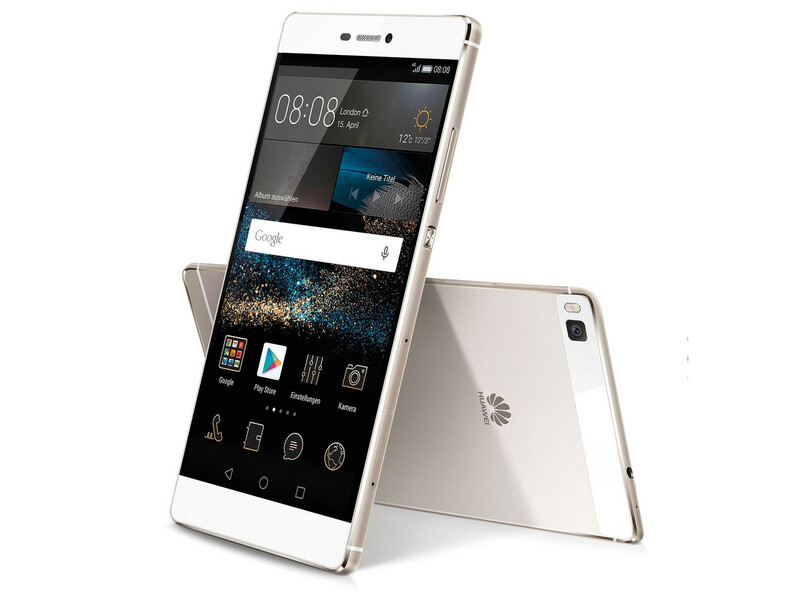 The Huawei P8 is exquisitely made and can easily compete in the big leagues. The handset meets the club's dress code and carries a matching price tag. That, of course, means the performance bar's been set quite high. The company indeed succeeded in producing a high-end device. Aluminum alloy secures the premium looks, matched by excellent handling. The P8 will get your attention and the build quality won't disappoint in the long run. 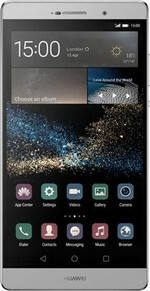 Huawei has been over the past few years trying hard to position itself among the top Android device vendors. Starting with the Mate 7 we saw the company direct itself in trying to produce more high-quality devices that try to cater to the more expensive premium segment in a bid to distance itself from some of the more notorious characteristics of Chinese-designed phones. 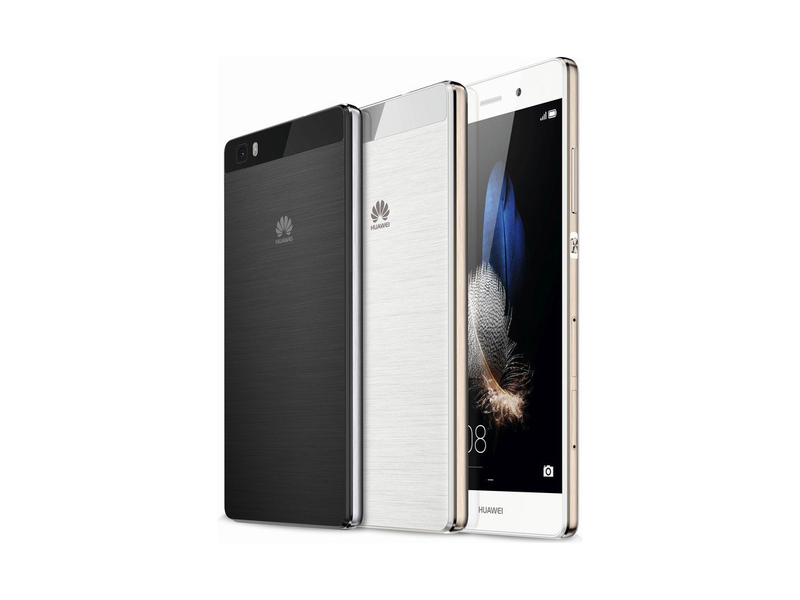 From its beautiful design to its sumptuous display, the Huawei P8 is a real feast for your eyes. Its handsomeness is matched by a very capable camera. It's also about $100 less than the Samsung Galaxy S6 ($600 to $685 unlocked on major carriers). The P8 isn’t the fastest phone in its class, and its interface is far from pure Android, but its design, display and photography prowess make it one of the best Android phones of 2015. Typed the characters “P8” into your favourite search engine and you are likely to get hits that refer to aircrafts, pistols and even electrical engineering software. You should also get links to a new smartphone from Huawei. This is the company’s latest addition to its P series of handsets, namely the P8 which was presented to the world at large at London’s Old Billingsgate event centre. The P8 is an outstandingly well-put together package from a company not particularly known for its high-end handsets. Its build quality is terrific, its camera is capable, and while it’s not our favorite implementation of Android, the software offers compelling features and reliable performance. Rumors are increasing each day of a Huawei-made Nexus phone, and if the P8 is to serve as any indication of what that might look like, we’re on board. Until then, the P8 is the most premium device we’ve seen from Huawei yet, and we can’t wait to see more from them soon. 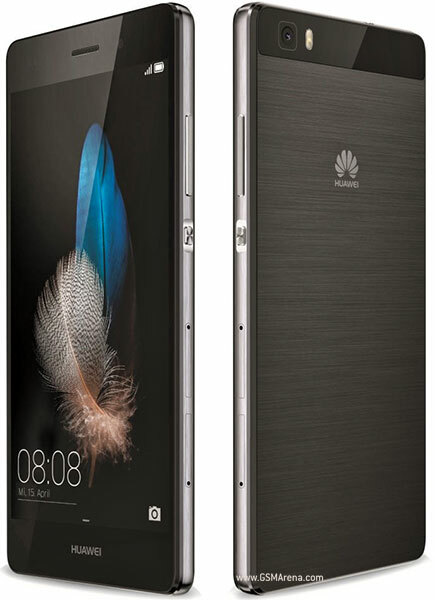 After the disappointing Ascend P7, Huawei’s back in action with the P8. It solves the older phone’s key issues, resulting in a phone that’s a bit of a smasher once you’ve tweaked away the stranger bits of the quirky custom interface. The Huawei P8 is an amazing piece of kit, with a great build quality, an amazing camera, great sound quality and a degree of flexibility thanks to the various slots and ports. The big but here though is the software. The software feels a little bit rushed, like Huawei knew they could not really release a flagship running an older version of Android this far into 2015. So Emotion UI 3.1 based on Lollipop was created. With the bugs that I mentioned above, the kind of bugs that really shouldn’t exist, especially if someone had spent more than a few hours testing the software. The Huawei P8 has all the right ingredients for a top of the range smartphone, but something's not quite gone to plan in the baking. Its screen, power, camera and battery life are just about on par with the high-end competition, but software quirks and interface inefficiencies hamper the overall experience of the Huawei P8. We really want to like the P8, but Huawei's best efforts have failed to live up to expectations. It's a beautifully made phone, but battery life and usability pales in comparison to the current crop of competition from Samsung, HTC and LG. The P8 is a fraction cheaper than other flagship phones, with the 16GB version costing around £400 SIM-free, but it's not enough to make it a viable alternative. Don’t rule it out. Sure, it lacks big name prestige, but it’s much cheaper than phones it matches and sometimes surpasses, and what you lose in recognition you gain in owning a phone few people will know. They’ll certainly notice it when they see it – it looks great. Huawei's P8 is a brilliant piece of hardware that's let down by its software. The raw specs and camera skills make for a captivating handset that looks the business and doesn't cost the earth at €499 (£357), but Huawei's Emotion UI lets it down in many ways. If you're after a sleek looking handset that can go up against the iPhone 6 though, but won't put a dent in your wallet, it's well worth a look. The Huawei P8 is a really good Android phone. It’s crammed with features – some that you might use and some that you won’t, and offers great performance no matter what you throw at it. While its design does eerily resemble another familiar smartphone, it’s got enough lurking under the hood to make it stand out on its own. 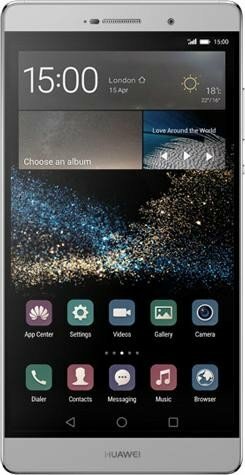 Featuring a decent display, premium design and above average camera, the Huawei P8 is one of the best mid-range smartphones currently available for the money. However, it's let down by heavy handed software additions to the phone's Android Lollipop operating sytem. No bones about it, though, this is a huge smartphone, no matter how narrow the bezel, and it makes for what will be for most people a completely impractical smartphone. Despite Huawei's protestations, we'd venture that there are very few pockets that this "pocketable" smartphone will fit into. We'll let you know our full thoughts, however, when we get our hands on our review sample. Huawei’s P8 is impressive in so many ways. The camera is one of the best around, almost hitting the dizzy heights of Samsung’s Galaxy S6 snapper, while the sleek design and decent battery life are also highlights. However, the myriad of software issues and merely-good screen make it a difficult recommendation over rivals like the S6 and LG’s award-winning G3, the latter of which is now available for less money than the P8. Eine Alternative zu den High-End-Phones von Samsung & Co. 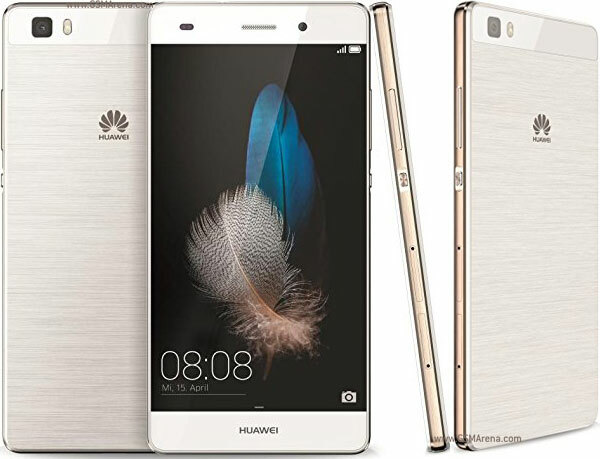 The Huawei P8max is a larger version of the Huawei P8 flagship smartphone. The model has a massive 6.8 inch display with a resolution of 1920x1080 and protected by Corning Gorilla Glass 3. At that size, it may be a difficult to fit in some pockets. In terms of aesthetics, it is a well-crafted mobile phone with elegant seamless design and it comes in three choices of color which are gold, champagne and grey. 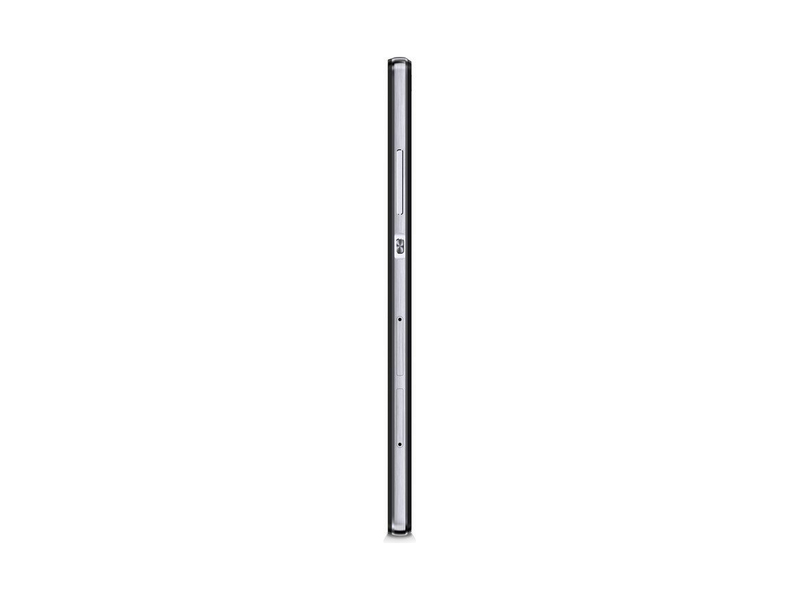 At 6.8 mm thin, the P8max weighs in at only 228 g. This devices comes with a 2.2 GHz quad core Cortex-A53 & a 1.5 GHz quad core Cortex-A53, 3 GB of RAM and 64GB of internal storage. With a microSD card, the storage capacity can be expanded by up to 128 GB. The 13 MP rear camera captures up to 4160 x 3120 pixels and comes with autofocus and a dual tone LED flash. There is a 5 MP front camera for selfies. The P8 Max runs on the Android OS v5.0.2 (Lollipop) platform. Dual-SIM capability with dual standby is a key feature in this smartphone. Finally, the manufacturer claims that the 4360 mAh battery lasts 10 hours during video playback. In conclusion, this Huawei P8max is a well-rounded device targeted at users who would like a device with a big screen. Although it's thin, light, compact and attractive, we're not convinced anyone wants a 6.8in phone (not in the UK anyway). It should really be a 7in tablet instead at a much lower price. That's our first impression so check back soon for a full review. 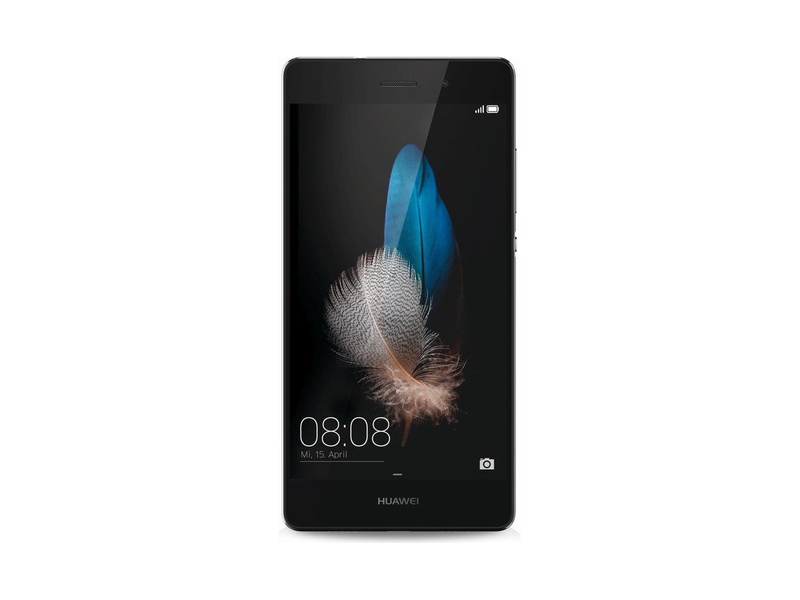 There's plenty of screen real estate on offer and the massive battery inside the Huawei P8 Max means you'll get a decent amount of performance from a single charge. Thing is - do you really want to be lugging around a device this size everywhere you go? Huawei says it's still pocketable - but only if your pockets are deep, and wide. Forget blurring the lines between smartphones and tablets, the P8 Max kicks those lines in the shins and simply does its own thing. The handset – if I can call it that – features a massive 6.8-inch display. 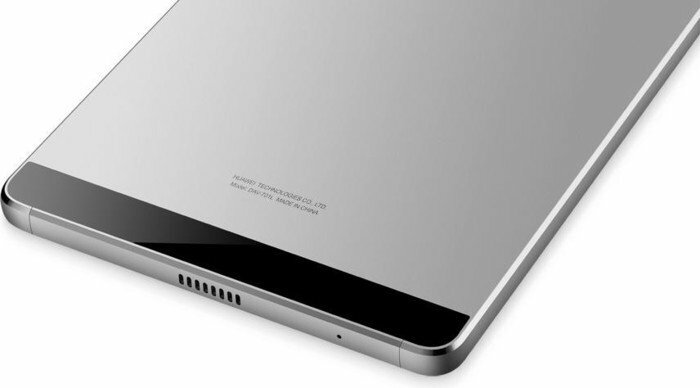 As well as being a full 1.6-inches biggest than its smaller, flagship sibling, the Huawei P8, the Max is just 0.2 of an inch off lining up as a direct Nexus 7 rival. Huawei has announced two new smartphones at an event in London - the P8 and the P8max. As you can probably guess from the name, the P8max is a larger version of the P8 flagship handset but when we say larger, we mean huge. It features a 6.8-inch display meaning it really is questionable whether it falls into the smartphone category at all or whether we should have tagged it as a tablet instead, but Huawei is calling it a phone, so under phone it goes (for now). No, you might not be able to fit in in your pocket. No, it’s not really an outright bargain as we often get from Huawei. And no, it’s not pushing the envelope of cutting edge tech in many areas. But damn, that’s a whole lot of screen. 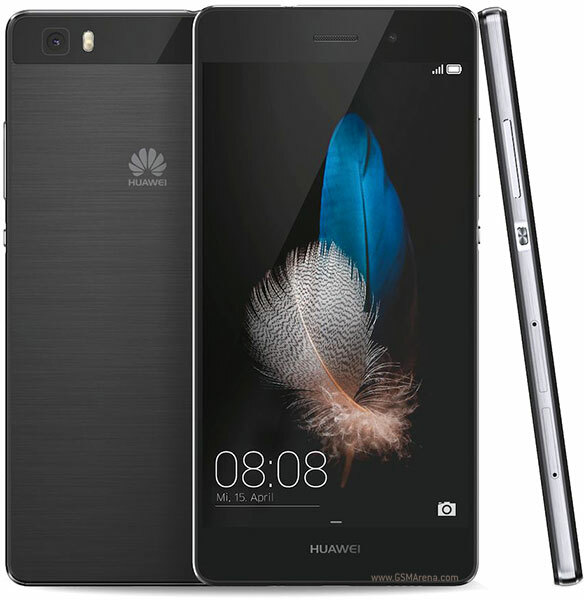 The Huawei P8 Lite is a smartphone with a sleek all-metal body that is relatively light, weighing in at 131 g. It comes in black and white with either silver or gold accents and metal trimming on the side edges and has easy to access control buttons. On the top edge is a standard 3.5 mm headphone jack and the bottom edge houses dual audio speakers. The buttons for volume and power are located on the right edge and there are two tray slots, one for a microSD card (up to 32 GB) and one for a SIM card, which has dual-SIM function. The back side of the smartphone is made from matte plastic, which has a slick and glossy finish. The 5 inch IPS display with a resolution of 1280 x 720 is protected by Corning Gorilla Glass. The P8 Lite runs on the Android OS with EMUI 3.0 user interface. The internal storage is 16 GB and the storage capacity can be expanded by up to 32 GB via microSD. The system features a 64-bit Qualcomm Snapdragon 615 octa core processor clocked at 1.5 GHz and is powered by a non-removable lithium ion battery with 2200 mAh. Finally, the smartphone features a 13 MP rear camera and a 5 MP front camera with enhanced low-light and after effect features. Flagship lite 2.0. 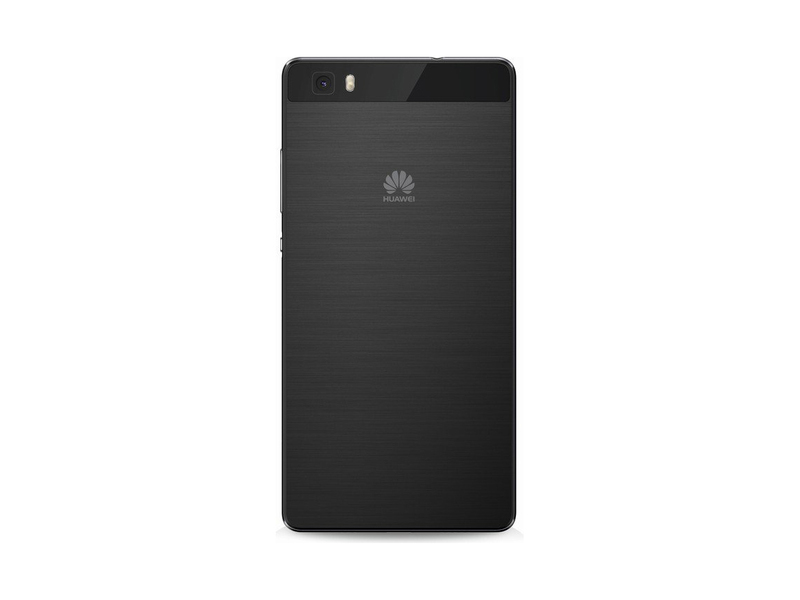 Huawei's P8 lite was actually the slimmed down version of Huawei's second-last flagship phone. Nevertheless, it has now been reworked with a new design, Full HD panel, and many other improvements. Our report reveals whether the P8 lite (2017) is a good deal. Ultimately, while the P8 Lite is a very capable and affordable smartphone (even more so since we first reviewed it, in the latter case), it’s hard to fully recommend when less flawed alternatives exist. If you want the very best battery life, choose the Lenovo P2; if you want the best all-rounder with the best camera, the Moto G4 is the one for you. Huawei P8 Lite 2017 Review: Huawei’s first affordable phone of the year is a revamped version of the P8 Lite, and for just £185 in the UK it’s a seriously strong rival to similar budget blowers. Here’s our full Huawei P8 Lite 2017 review. 70% Trotz Namenschaos Eine Gute Wahl? 81% Review Huawei P8 Lite 2017 – ¿Evoluciono Lo Suficiente? 85% P8 Lite 2017 – O que melhorou desde o P8 Lite? Positive: High autonomy; nice design; good price. Negative: Weak hardware. 70% Huawei P8 Lite 2017: Ancora Una Buona Annata? 82% Recensione Huawei P8 Lite 2017: riuscirà a ripetersi? Positive: Nice design; good price; long battery life. Negative: Average performance. Positive: High autonomy; nice performance; fast fingerprint reader. Negative: Unsupport fast charge; only 16GB Rom. Positive: Beautiful design; nice display; decent hardware; good cameras; long battery life. Negative: Unsupport quick charge. Positive: Nice design. Negative: Short battery life; poor display. Positive: Beautiful design. Negative: Poor display; low autonomy. Positive: Impressive design. Negative: Short battery life. Positive: Nice design. Negative: Low autonomy; poor display. 70% Test Du Huawei P8 Lite 2017 : Encore Un Bon Cru ? 90% Test Du Huawei P8 Lite 2017 : La Recette Fonctionne-T-Elle Encore En 2017 ? Positive: Pleasant design; beautiful screen. Negative: Internal memory too low. Positive: Beautiful design; flexible fingerprint sensor; high performance. Negative: Low autonomy. Positive: Nice design; good price; long battery life. ARM Mali-T628 MP4: Integrated graphics card (for ARM based SoCs) for smartphones and tablets. Features 4 cores (MP4) and supports OpenGL ES 3.0ARM Mali-T830 MP2: Integrated graphics card for smartphones and tablets with two clusters (MP2) supporting OpenGL ES 3.2.These graphics cards are not suited for Windows 3D games. Office and Internet surfing however is possible. ARM Mali-450 MP4: OpenGL ES 2.0 GPU for ARM based SoCs with 4 fragment processors and 1 vertex processor.ARM Mali-T720: Integrated graphics card in ARM based SoCs. Can be configured with up to 8 cores (T720 MP8) and 650 MHz core clock (at 28nm). Supports OpenGL ES 3.1, OpenCL 1.1, DirectX 11 FL9_3, and Renderscript.» Further information can be found in our Comparison of Mobile Graphics Cards and the corresponding Benchmark List. 78.32%: This rating is not convincing. The laptop is evaluated below average, this is not really a recommendation for purchase.» Further information can be found in our Notebook Purchase Guide.